No longer a long time ago, in a galaxy far far away! 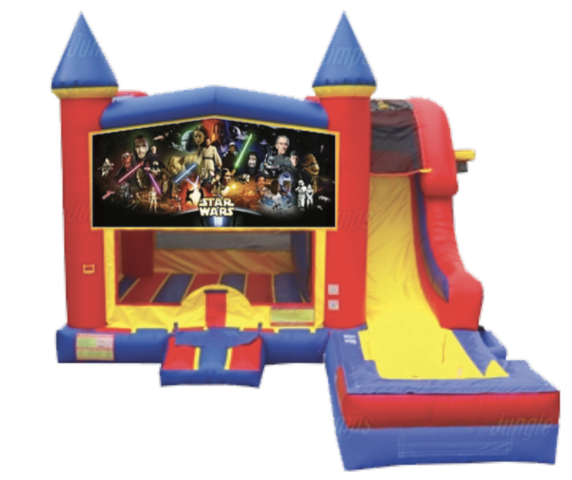 Now you can bring the excitement of Star Wars right to your own backyard event! Kids will love pretending to be their favorite character as they run, bounce and create lasting memories with this Star Wars water combo! This combo offers bouncing, shooting hoops, climbing, sliding down the waterslide into a splash pool and an additional hoop on the outside of the unit for extra fun!